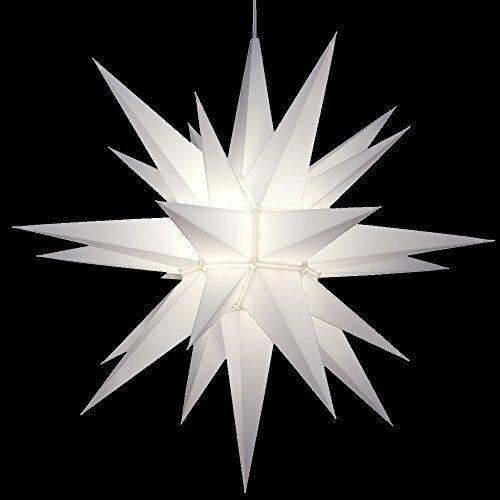 Illuminated Treetop Star (PACK OF 3) by Generic at Two Clock. Hurry! Limited time offer. Offer valid only while supplies last. Set the tone to your holiday decor. Trim a tree a brilliant addition to any tree. Easily slides onto top branch with clear tree top attachment. Set the tone to your holiday decor. Trim a tree a brilliant addition to any tree. Easily slides onto top branch with clear tree top attachment. Indoor-Outdoor. U/L approved. Easy twist and lock assembly. Great for hanging.